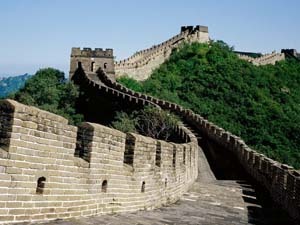 You will be picked up at your hotel at about 8:00am and drive to Jinshanling Great Wall. Check in at the Jinshan Hotel and have lunch. Then start the photography tour at Jinshanling Great Wall, and you'll be rewarded with awesome spectacular, especially the sunset view. Stay overnight at Jinshan Hotel. 1. Photographic Gears: Please take wide-angle lens or ultra wide angle lens, plus standard lens, which will aid you to grasp the gigantic sunrise/sunset view and the rosy cloud. 2. Best time to go: summer & autumn when the rainbow and cloud sea appear relatively frequently. [ Optional ] Jinshanling Great Wall: According to historical records, the construction of this section of the wall was begun in 1571,part of the 1,000-kilometer-long section of the wall between the Shanhai Pass in the east and Changping County in the west, which was the result of cooperation between two famous Ming generals. Get up early to catch the breath-taking sunrise of Jinshanling Great Wall. Moreover, you can’t let go of the scenery of cloud sea. 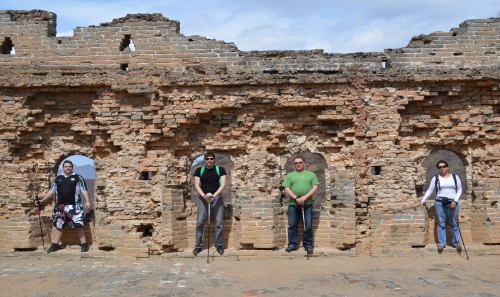 Drive back to downtown Beijing after lunch and end the happy tour. 1. 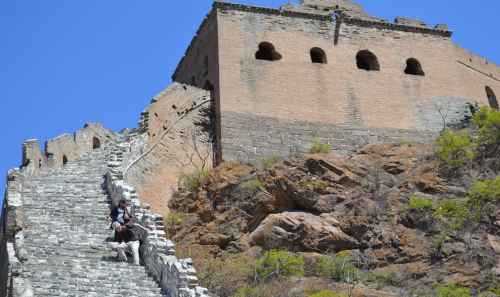 Jinshanling section of the Great Wall features over 24 watch towers, and steep gradients that offer constantly changing perspectives and wide, open views. Also watchtowers are in fascinating variety. 2. Xiaojinshan Tower is the best spot for shooting the sunrise of Jinshanling. .